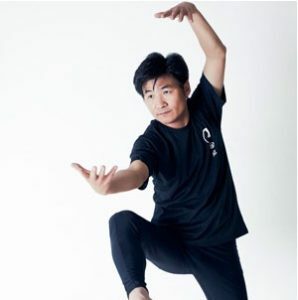 This eight-day immersion training is a unique opportunity to train with Master Zhen Hua Yang, through an ancient lineage, intimately working with a 3-dimensional powerful form of movement called Calligraphy Yoga. This training is a rich unveiling of knowledge, movement philosophy and “secrets” that are steeped in ancient methods and techniques. It is a potent form of healing, rebalancing hormones, realigning the bodies biomagnetic energy and increasing organ and brain function. During this eight-day course, Master Yang will give in-depth practical teachings and guidance of how to use the body, physical movements, breath and Mudra (energy control) for increased energy production and to promote blood, digestive and mental circulation. These practices allow one to effectively release mental and physical tension, increase suppleness in the body and relieve chronic back and neck pain. During each day of the course, Master Yang will assist participants in gaining a deeper experiential understanding of their own body’s healing mechanisms and ways of directing energy. Level 2 is open to all, and it is not a requirement to complete Level 1 in order to participate. In the Level 2 training (addressing trauma, illness and stress) of the Calligraphy Health System, Master Yang draws on his knowledge, experience and 5000 years of Eastern Philosophy to teach students to connect to their true self and find harmony and happiness. In this level 2 training he will address working with trauma, illness and the possibility to cultivate energy to transform these frequencies. 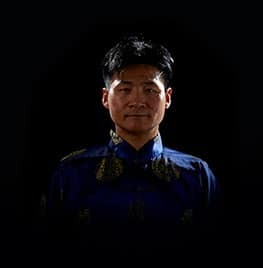 At this level Master Yang delves much deeper into Calligraphy Qi Gong with a focus on controlling blood circulation and energy flow, scanning the body for blockage or disease and using the power of percussion to break up these blockages, increase blood flow and clear and quiet the mind. Package for level 1 includes 10 nights of accommodation, arriving on May 7th and leaving May 17th. Package for level 2 includes 10 nights of accommodation, arriving on May 16th and leaving May 26th. Package for level 1 and level 2 includes 19 nights of accommodation, arriving May 7th and leaving May 26th. Additional accommodation options are available.